Electronic Brick - Serial Bluetooth 2.0 is a wireless communication module. It can be used to exchange data over short distances between devices. The following steps show how to use EB - Serial Bluetooth 2.0 with Makerduino. 4. Download the Makerduino demo code EB - Serial Bluetooth 2.0.zip. Unzip the code directly into the libraries folder. 5. 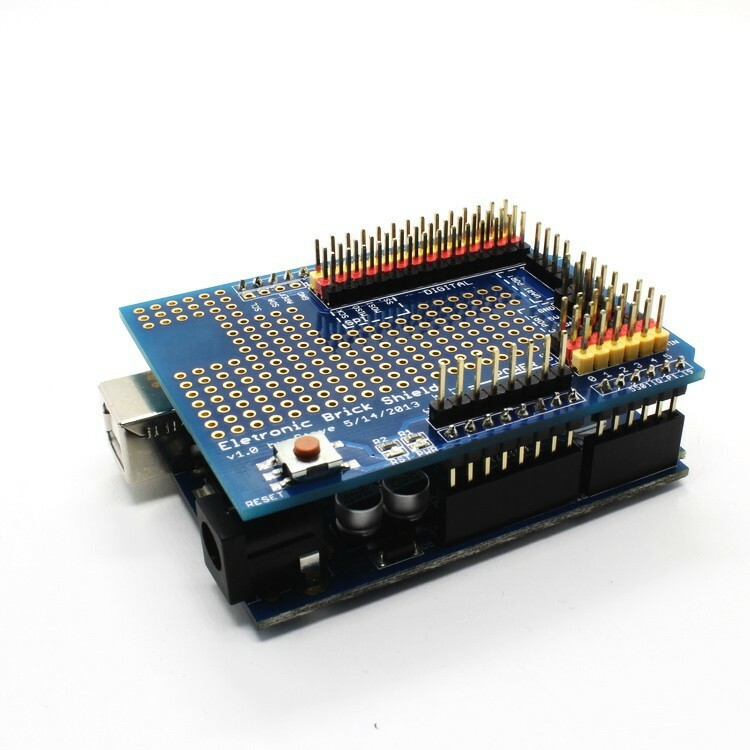 Open Makerduino IDE, choose the right Board and Serial Port. Open the sketch EB_SerialBluetooth_2_0.ino and upload it to the Makerduino. 6. Check the Results. After the sketch is successfully uploaded, let's open the Serial Monitor. Use you mobile phone transmit messages to EB - Serial Bluetooth 2.0. The monitor displays received information of EB - Serial Bluetooth 2.0 module. Find EB - Bluetooth 2.0 Material.zip to download schematic and other material.